U.S. District Judge Henry E. Hudson ruled today that the individual mandate of the ACA (a.k.a. 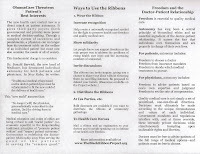 ObamaCare) is unconstitutional. I have previously read that due to the lack of a severablity clause, if any part of the law is ruled unconstitutional, the whole bill will have to be thrown out. Unfortunately, it turns out to be more complicated than that. [T]he lack of a severability clause wouldn’t necessarily result in the overrule the rest of the legislation, which mostly have to do with spending and rationing — the expansion of Medicaid, Medicare cuts, and sweeping regulatory authority — and isn’t wrapped up in the mandate. This has been the Court’s approach to other issues, such as the recent Sarbanes-Oxley ruling, another law which lacked a severability clause, where they invalidated a portion of the law and allowed the rest to stand. Some proponents of the ACA believe that the health of the individual mandate would move us closer to implementing a single payer system. (See Ezra Klein's article in today's Washington Post.) The danger of this is only too real. The best way to prevent that from happening is to continue to speak out against ObamaCare as a whole. Even a Supreme Court ruling that the individual mandate is unconstitutional will not save us from the multitude of other violations of life, liberty and property intimately woven throughout the ACA. 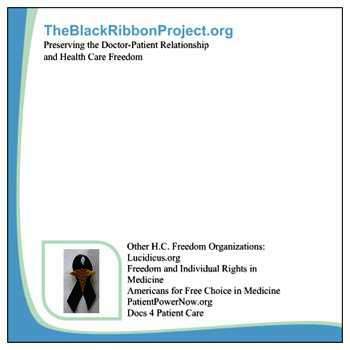 Preservation health care freedom and the sanctity of the doctor-patient relationship requires the complete REPEAL of the ACA, and the extraction of government from the business and practice of medicine. This is what was meant when Speaker Pelosi infamously informed us "We have to pass the bill so we can see what is in it." So many details have been left up to regulatory rule making, even if Congressmen had read the bill, there would be no way to know its actual meaning. Far too much was left up to the discretion of yet-to-be-created agencies, and the Secretary of HHS. And that is the way it has to be. It is the nature of central planning. Command and control economic planning can not function through legislating. Legislative reaction time is too slow and the decision making process to cumbersome and contentious. The only way to allow for the necessary responsiveness and flexibilit is to delegate a significant portion of the decision making power to regulatory agencies. The broader the regulatory mandate, the more the decisions become sway to special interests and the arbitrary whims of the regulators and rule-makers. One of the first casualties of regulation is Rule by Law--which is replaced with Rule by Men. The second casualty is usually Equality Before the Law--which is replaced with Rule by Special Favor. This is the nature of central planning, and of the regulatory behemoth which it spawns. Everybody has to follow the rules...except those who Sebelius decides to let off the hook. Special waivers are now up to 111. UpDate: Here is the current waiver list. The ink is barely dry. The electrons have barely been tallied. The lessons of the election have yet to be learned. Health care is an issue that’s important to all of us and the new health care law is already helping Americans across the country. Visit the 50 States/50 Stories map to find stories of how the new law is affecting people in your area -- people like Jim Houser, who will be receiving a small business tax credit that will enable him to continue providing health insurance to his employees or Adrienne Lowe who can now stay on her parents’ plan after graduating from college. You can also watch as the President makes a surprise phone call to Gail O’Brien who was without insurance when she was diagnosed with lymphoma and has been able to get coverage through the newly established Pre-Existing Condition Insurance Plan. These are just a few of the examples of Americans who are benefitting from the Affordable Care Act. Across the nation, the new law is making health care better for millions of Americans. The Fifty Stories are only the tip of the ice berg--and unless Obama et al start paying attention to what lies below the surface, our country's finances and health care are headed for the same fate as the Titanic. What is NOT mentioned, of course, are all the jobs which will NOT be created because labor costs will be too high due to the tax and regulatory burdens the law places on employers and businesses. Or the medical devices, medicines and cures that will NOT be invented. Or employers who respond to the law's strong financial incentives to drop health insurance coverage for their employees. Also not mentioned are the number of insurance companies which must either discontinue significant benefits, (unless they get a waiver) raise premiums or go out of business due to the PPACA. So don't be fooled when the White House tells stories. This is the persistent tendency of men to see only the immediate effects of a given policy, or its effects only on a special group, and to neglect to inquire what the long-run effects of that policy will be not only on that special group but on all groups. It is the fallacy of overlooking the secondary consequences. In this lies the whole difference between good economics [or politics] and bad. The bad economist [or politician] sees only what immediately strikes the eye; the good economist looks beyond. the bad economist sees only the direct consequences of a proposed course; the good economist looks also at the longer and indirect consequences. The bad economist sees only what the effect of a given policy has been or will be on one particular group; the good economist inquires also what the effect of the policy will be on all groups. The distinction may seem obvious...Yet when we enter the filed of public economics, these elementary truths are ignored." Dr. Alieta Eck of AAPS, and Drs. Pegg, Hansen and Lovett of Docs4PstientCare assisted the Independant Womens Forum in making this commercial prompting voters to ask their candidates to pledge to repeal ObamaCare if elected. Listen carefully to their message, because it gets right to the heart of the matter: ObamaCare takes control away from patients and doctors and gives it to government bureaucrats. The PPACA may be primarily insurance reform, but whoever controls insurance, controls the payment for medical care and will eventually have to control what gets paid for. That means deciding what your treatment options will be. Restore choice and accountability--for patients, doctors, hospitals and insurance companies. In a free country, we all have our part to play. 1. End government policies which give preferential tax treatment to employer-based insurance with first-dollar coverage. Instead, all medical expenditures must have the same tax advantage or disadvantage. This will increase the availability of insurance for individuals, and insurance portability for everyone. 3. Remove legal limits and hindrances to purchasing catastrophic health care combined with a Heathcare Savings Accounts so people can more easily take advantage of this form of insurance which has repeatedly demonstrated its superiority in lowering health care spending and maintaining patient satisfaction. A significant part of the cost problem in health care relates to the perverse incentives which occur in a third-party payer system. 4. Allow balance billing for Medicare to end the massive amount of cost-shifting doctors and hospitals have to do in order to make up for the inadequate payments they receive from the government. When doctors are able see Medicare patients without losing money, the doctor shortage for Medicare patients will disappear. 5. Encourage states to enact real tort reform. Defensive medicine increases testing and procedures and drives up costs. But first, we have to repeal ObamaCare. The PPACA is "nudging" doctors out of independent practice and into working as employees of large practice groups or hospitals. This move is occurring because of the bundled payment structure of Accountable Care Organizations (ACOs) which favors "vertical integration" of doctors, hospitals and health plans. The only problem is that bundled payments are simply capitation rewritten, and employee physicians face divided loyalties between the needs of their employers and the desires/needs of their patients. This arrangement is especially insidious when coupled with the ethics of "social justice" which gives a physician the moral OK to sacrifice his patients to the "greater good" of society. What is good medicine for the masses is often at direct odds with what is good for the individual patient--and thus, quality medical care suffers. 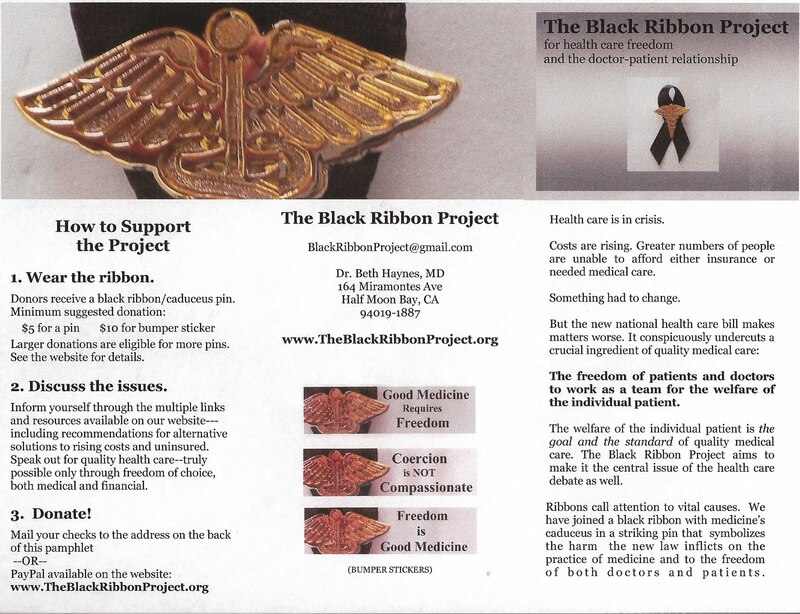 Thousands of physicians will be distributing the following letter to their patients in the next few months and weeks. Speaking up about the detrimental effects of the new healthcare control law is becoming an important part of attending to the health and welfare of patients. Section 1311 of the new health care legislation gives the US Secretary of Health and Human Services and her appointees the power to establish care guidelines that your doctor must abide by or face penalties and fines. In making doctors answerable in the federal bureaucracy this bill effectively makes them government employees and means that you and your doctor are no longer in charge of your health care decisions. This new law politicizes medicine and in my opinion destroys the sanctity of the doctor-patient relationship that makes the American health care system the best in the world. 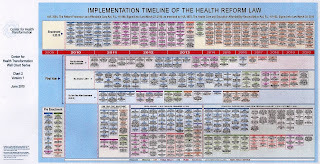 In addition to also badly exacerbating the current doctor short age, the law will bring major cost increases, rising insur ance premiums, higher taxes, a decline in new medical techniques, a fall-off in the development of miracle drugs as well as rationing by government panels and bureaucrats like passionate rationing advocate Donald Berwick forcing delays of months or sometimes years for hospitalization or surgery. Finally, studies show the legislation will adversely affect the elderly, the poor and rural residents. Despite countless protests by doctors and overwhelming public opposition -- up to 60% of Americans opposed this bill -- the current party in control of Congress pushed this bill through with legal bribes and Chicago-style threats and is determined now to resist any “repeal and replace” efforts. This doctor’s office is non-partisan -- always has been, always will be. But the fact is that every Republican voted against this bad bill while the Democratic Party leadership and the White House completely dismissed the will of the people in ruthlessly pushing through this legislation. In the face of voter anger some Democratic candidates are now trying to make a cosmetic retreat, calling for minor modifications or pret ending they are opposed to government-run medicine. Once the election is over, however, they will vote with their party bosses against repealing this bill. Please remember when you vote this November that unless the Democratic party receives a strong negative message about this power grab our health care system will never be fixed and the doctor patient relationship will be ruined forever. I will be glad to discuss this with you at the end of our consultation. Autonomy--one of the pillars of individual rights--is also a central principle of biomedical ethics and an essential ingredient of the doctor-patient relationship. Doctor and patient form a partnership of autonomous individuals--united in the goal of promoting the patient's health. 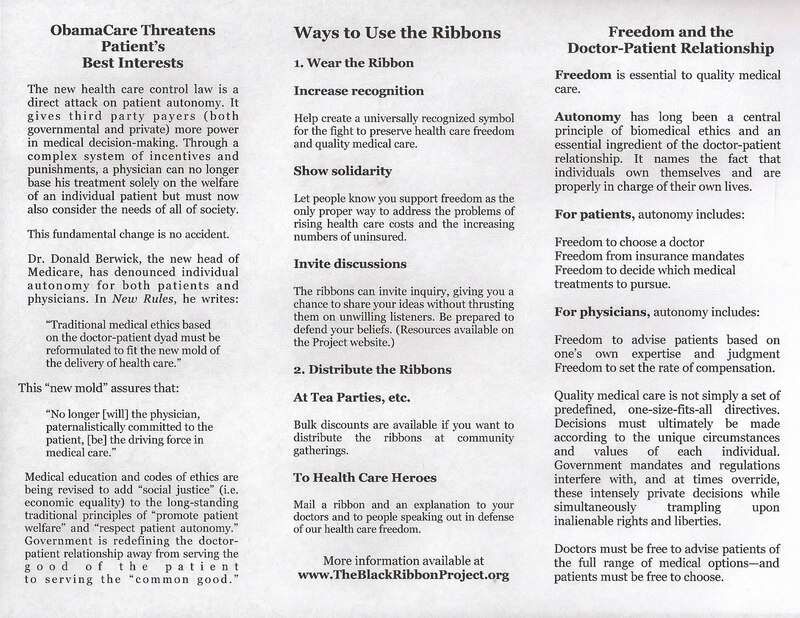 Autonomy includes the freedom to choose who your doctor is, and how you will pay for the doctor's services. The new health care control law (PPACA) severely reduces our autonomy by restricting the choice of payment methods to those pre-approved by government. Efforts are on-going in multiple states to preserve freedom of choice in health care by resisting the federal mandate to purchase health insurance. In addition to a number of Health Care Freedom Initiatives (both legislative and ballot initiative,) many state attorneys general have filed lawsuits questioning the mandate's constitutionality. Colorado has an interesting approach, which you can learn about through the links provided by Dr. Paul Hsieh at Freedom and Individual Rights in Medicine. Although federal law trumps state laws, states are not without power against the federal government. Read more here, and here, and here. Good medicine is not simply a set of pre-defined protocols. Decisions must ultimately be made according to each individual's unique circumstances and values. Doctors must be free to advise patients of the full range of options--and patients must be free to choose. 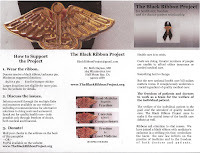 UPDATE 8-21-10: as of May, 2010, 20 states had filed suit. How in the world are we to understand the explicit details of the new 2000+ page health control law, let alone make reasonable estimations of potential unintended consequences? Although a picture is not an argument, sometimes it's worth 1000 words. 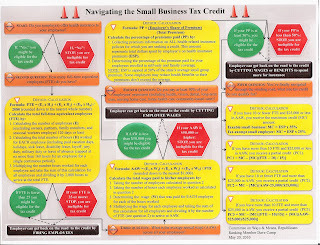 This chart is large and complex, but is reportedly still only about a third of the bill. 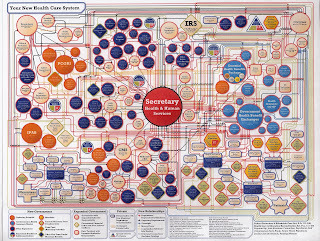 Here's a chart which focuses just on one small aspect of the "Affordable" Care Act. A brief introduction to the chart is given by its creator, Committee on Ways and Means member Dave Camp here. The IRS explanation is here. How much will each box cost to implement---both in money and in freedom? How many new directives in this bill will replace the private decisions of patients and doctors with a bureaucratic decree? How can a nation of independent, free citizens tolerate this massive invasion into private lives---no matter what the claimed justification? No one know, but too much. No one knows, but too many. We can't--if we desire to remain independent and free. Today the White House released an ad campaign featuring actor Andy Griffith, hoping the friendly sheriff from Mayberrry will convince voters that ObamaCare is not the disaster we know it to be. Although technically correct, the ad falsely attempts to reassure Seniors that the new law won’t change Medicare benefits. So how can the Obama administration claim that “guaranteed Medicare benefits will remain the same”? The answer is that the term “guaranteed” is a weasel word…It may sound to the casual listener as though this ad is saying that the benefits of all Medicare recipients are guaranteed to stay the same — and that may well be the way the ad’s sponsors wish listeners to hear it. But what the administration is really saying is that only those benefits that are guaranteed in law will remain the same…But here’s the catch: The extra benefits generally offered by Medicare Advantage plans aren’t guaranteed by law. Sec. 1801: Nothing in this title shall be construed to authorize any federal officer or employee to exercise any supervision or control over the practice of medicine or the manner in which medical services are provided, or over the selection, tenure, or compensation of any officer or employee or any institution, agency or person providing health services; or to exercise any supervision or control over the administration or operation of any such institution, agency or person. In 2002, Dr. Lawrence Huntoon, MD collected more Medicare Myths and Facts including the myths that Medicare has lower administration costs, and that we can count on the government to keep its promises. For more on the subtle duplicity of the White House ad campaign, read the rest of Mayberry Misleads on Medicare. President Obama and the Democrats have started the Health Information Center which plans to spend $125 Million defending ObamaCare to the American public--a necessary effort because the majority of Americans still do not want this law. This campaign, plus the newly launched HealthCare.gov website, and the email campaigns of Kathleen Selbalius (Secretary of Health and Human Services) and Nancy-Ann DeParle, Director of the White House Office of Health Reform, are all aimed at reassuring citizens that freedom is not being taken away, only the rich will have to pay more in taxes, in the long run all this spending will save us money and reduce the debt, and this law will "strengthen" Medicare. As Grace-Marie Turner of the Galen Institute points out below, even the National Council on Aging is in on the propaganda act. A recently published survey shows that Seniors have not been fooled into believing the political spin on ObamaCare and answered the questions correctly according to what the law will actually do, and not what the Democrats ridiculously claim it will do. In order to keep the truth out in front, be sure to give your financial support to your favorite watchdog organization so they have the funds to challenge the audacious claims of the government. A list of suggested organizations is at the end of this post. The National Council on Aging got a lot of media attention this week for a survey that was astonishing in its misrepresentation of the facts. The NCOA asked 636 seniors true or false questions about "the top twelve facts" they should know about ObamaCare. Only 17% knew the "right" answers to half of the questions and not a single person got a perfect score. The news release read: "Most Seniors Misinformed, Unaware of Key Provisions of the Affordable Care Act." "The new law will result in future cuts to your basic Medicare benefits." True or false? By more than two to one, seniors said the statement was true. But the survey said that was wrong. "The new law is projected to increase the federal budget deficit over the next ten years and beyond. "By more than three to one, seniors said that was true. Wrong answer. "The health care reform law will cut Medicare payments to doctors." Seniors said true by three to one. Wrong answer. The late Sen. Daniel Patrick Moynihan said, "You are entitled to your own opinion, but not your own facts." The health overhaul law cuts Medicare by $575 billion over the next 10 years. The Medicare actuary says that at least one in six Medicare providers, including hospitals, nursing homes, and physicians, could be operating at a loss by 2019 and could end their participation in the program, and "possibly jeopardize access to care for beneficiaries." More than 7 million seniors will lose their Medicare Advantage coverage, and millions more will find access to care restricted. The Congressional Budget Office found that seniors enrolled in Medicare Advantage will lose an average of $800 a year in benefits. As Rep. Paul Ryan explained at the Blair House summit in February, "when you strip out the double-counting and ... gimmicks, the full 10-year cost of the bill has a $460 billion deficit. The second 10-year cost of this bill has a $1.4 trillion deficit." And the legislation keeps scheduled cuts in payments to doctors, which is why the Congress passed a separate "doc fix" bill in June to keep doctor payments from being cut by 21%. Seniors know you can't take $575 billion out of Medicare and not have it affect their benefits. Many already are having difficulty finding providers that take Medicare. NCOA also found that seniors are not satisfied the information they are getting about the new law is "accurate and reliable." Well the NCOA has certainly proved it is not the place to go for reliable information. This survey deserves to be tossed. It almost seemed like push-polling where the pollsters try to "re-educate" people through the use of survey questions. Seniors get it, but this is unsettling at best.